David Markovitz delights his audiences with his ability to engage their imaginations and a unique look at contemporary issues. He has over twenty years of successful managerial experience in leading corporations, such as Beckman Instruments and Johnson and Johnson. David has achieved success by mastering the challenge of change. He has used the power of persuasion and influence in affecting proven leadership throughout his career. He is the author and/or co-author of Becoming the Best! Making Optimization Happen, 212 Tips to Improve Performance, Productivity, and Profits; Innovation Resource Handbook: A Practical Blueprint for Leaders in Industry, Government, and Education, The Team Process Improvement Workbook, GMP Makes Good Business Sense, and Essential Tips for a Successful Speech. David is the President and Co-Founder of the Institute for Effective Innovation, a training and consulting company, and since 1989 has worked with clients throughout the world. He helps people become better leaders who excel in our rapidly changing economy. Davids clients read like a Whos Who of Fortune 500 corporations. He also presents to academia, and trade and membership organizations. 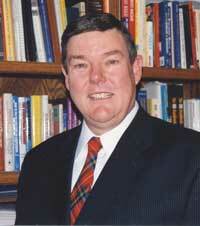 David has led workshops on Leadership and Management throughout the USA and in India and Europe. An award winning speaker, David is a Professional Member of the National Speakers Association (NSA), the worlds preeminent organization for experts who share their knowledge from the platform. He was the 2004 President of the Greater Los Angeles Chapter of NSA. As a lifelong scholar on Theodore Roosevelt, David is privileged to bring Teddy back to life during the centennial of his Presidency (1901  1909).